MILWAUKEE, WISC. – Tuesday, Sept. 12, 2017: Whether a contractor in the mechanical room in need of installation pointers or a wholesaler explaining a product at the counter to a customer, Caleffi’s new Installation Tip Videos just made the professional’s job easier. 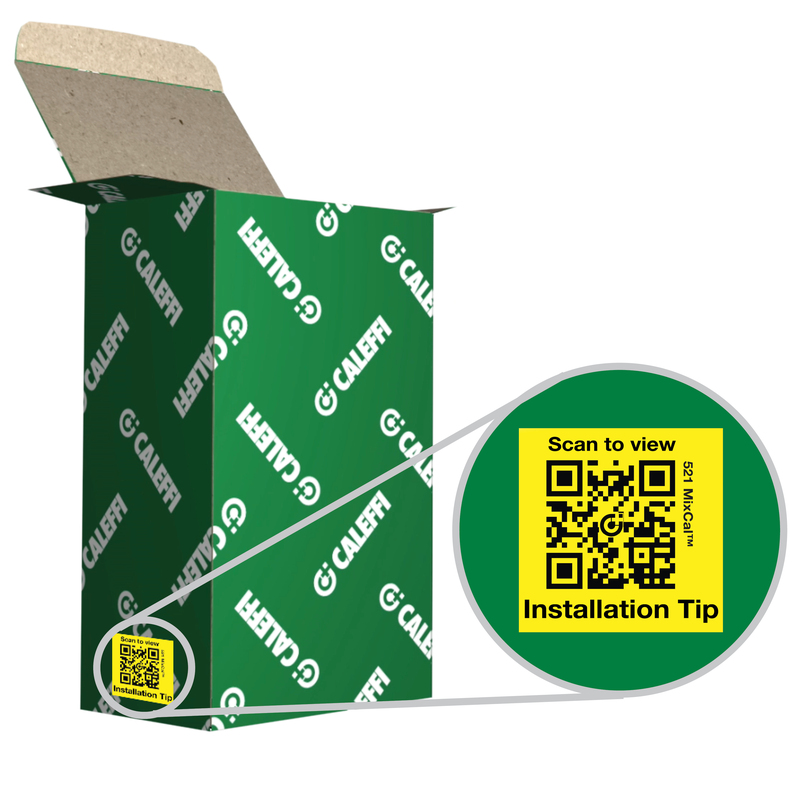 The brief videos are accessed by a QR code, easily identified with a bright-yellow label placed on our product boxes. A simple scan of the code from a mobile device allows quick access to the helpful video. Take a look at a sample video. CALEFFI – Creating innovative, superior performance products that help customers live comfortably and economically, while softening their impact on the environment.